This week I am in Shah Alam, Malaysia, for the 2012 Asian Media Information and Communication Centre Conference. The paper I am presenting Thursday is titled ‘Regulating the interaction between the news media and the vulnerable – the Australian experience’. 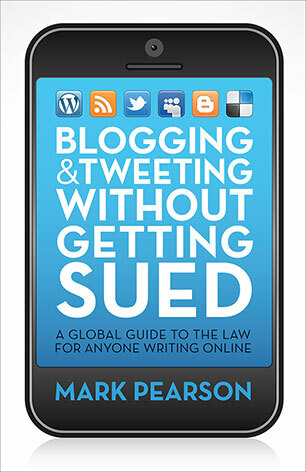 It will eventually be published in an academic journal, but I provide a summary here. It reports on a selection of findings from a national collaborative research project examining the interaction between the Australian news media and so-called ‘vulnerable sources’. 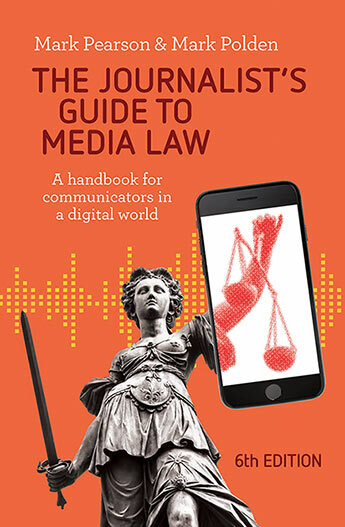 It surveys the codes controlling journalists’ behaviour via in-house industry-based codes of practice and those administered by the Media Entertainment and Arts Alliance (MEAA), the Australian Press Council (APC) and the Australian Communications and Media Authority (ACMA). It looks particularly at codes and regulations controlling privacy, intrusion, grief, children, mental illness and discriminatory reportage. It considers the vulnerable source issue in stories collected during a year’s selective sampling of the national daily newspaper, The Australian. Special attention is paid to three years of decisions by the APC and the ACMA which have been coded and analysed according to the type of vulnerability involved, the guideline allegedly breached, and the result of the complaint. 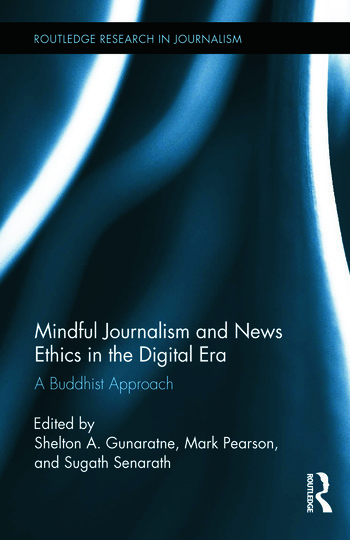 It explains that there are many ‘moments of vulnerability’ that escape the hard and fast letter of laws and codes that seem to be left to the moral and ethical judgment of individual reporters and editing teams, demanding a fresh approach to in-house self-regulation. I collaborated with five other academics and industry partners (listed below) in a $92,000 Australian Research Council Linkage project over two years to examine how journalists interacted with those who might belong to a ‘vulnerable group’ (such as the disabled, indigenous, children, those who have undergone trauma or grief, or those with a disability or mental illness) or those who might simply be ‘vulnerable’ because of the circumstances of the news event. We decided instead to direct our inquiries, particularly during the newspaper content analyses, to identifying potential ‘moments of vulnerability’ rather than restricting our search to mentions of the pre-identified source groups. Similarly, the analysis of the complaints decisions of the APC and the ACMA worked to the principle of moments of vulnerability rather than being driven particularly by a source’s membership of a pre-determined vulnerable group. Taken at its broadest definition, all citizens are ‘vulnerable’ when they engage in any media interview. There is a potential for that interview or its resulting publication to go wrong, with associated embarrassment, emotional pain and in extreme cases even physical retribution from hostile audience members. A total of 33 items were identified as depicting ‘moments of vulnerability’ from the coverage analysed for The Australian newspaper on the selected day in each of the 12 months of the 2009 calendar year. The sample was too small for quantitative analysis, so no statistical breakdown of the findings will be provided other than a simple count on some criteria. The analysis mainly takes the form of a qualitative study of the items, selecting key examples to explore the ‘moments of vulnerability’ and to offer a backdrop to the matters raised before the complaints bodies examined in the subsequent section. We identified 33 ‘moments of vulnerability’ identified in the published stories, based upon 31 stories on the selected 12 days’ coverage in The Australian. The 33 moments of vulnerability were categorised into PTSD/grief (14), mental illness/suicide (9), children (3), disabled (3), privacy (2), aged (1) and discrimination (1). 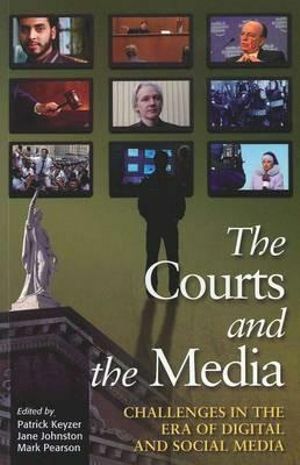 All such moments were also assessed for the level of competing public interest/social importance value evident in the matter being reported to eliminate examples where the public interest arguments were so strong that it could be seen that editors could easily argue their decisions were driven by legitimate matters of social importance. A process of elimination left us with seven key ‘moments of vulnerability’, centred on Australia-based stories, where public interest issues did not clearly excuse the type of coverage or interaction with vulnerable sources as presented. The seven selected are summarised in Table 1, grouped according to the type of vulnerability, and each is then considered as a brief case study. 3-2-09 3 DOCS urges fugitive mother to return Child This was a custody issue where a mother had allegedly kidnapped her son and fled overseas. Potential impact of comments by child welfare expert upon mother’s decision to remain at large. 9-4-09 16 D’Arcy puts head down amid crisis Mental illness/suicide Both articles juxtapose champion swimmer’s axing from the national team with that week’s suicide of top cyclist. 6-6-09 43-44 The night Symonds was cut adrift / Symonds comes to end of the road Mental illness/suicide Links champion cricketer’s alcohol problems with allusions to suicide possibility, with risk of prompting that outcome. 13-11-09 3 Suspect may have killed himself Mental illness/suicide Speculates murder suspect may have self-harmed or suicided, potentially triggering that course of action. 11-8-09 3 Son dead, mother acute PTSD/grief Clearly a ‘death knock’ telephone attempt to speak to family or close colleagues after murder-suicide attempt. 9-9-09 3 Sandilands offends again Discrimination Story repeats a radio host’s offensive remarks about the weight and race of a female comedian in its own recount of the matter. The conference paper explores each in detail. It then goes on to analyse five years of APC decisions between 2006-2010 and three years of ACMA decisions in 2008-10 in a similar approach to that undertaken for The Australian newspaper analysis, with interesting results. Australian Press Council does not use the word ‘vulnerable’ or ‘vulnerability’ in its Statement of Principles, which addresses other criteria, many of which go to the issues we address in our study. Thus, we are placing (retrospectively) a different lens of analysis on the items of complaint. Complainants are not pursuing their complaints or are withdrawing them at an earlier stage. Vulnerable sources may well have a desire to complain, but not the energy or competence at the time to do it. Reforms to the Australian Press Council’s structure processes recently announced by its chairman, Professor Julian Disney, might consider some of these concerns. Our study also examined the reports of the ACMA investigations in the 2007-10 period and identified the following 11 as pertinent to our study of the interaction between the news media and vulnerable sources. A key problem of the ACMA process is that journalists are working under a variety of codes of practice controlling similar behaviours. Added to this are various ‘guidelines’ documents issued by the ACMA providing further counsel for broadcasters in their handling of sensitive issues. One such set of guidelines is the Privacy Guidelines for Broadcasters. These were reviewed during 2011 and our ARC team made submissions to that review on issues of interactions with the vulnerable, and particularly with issues of consent and withdrawal of consent by the vulnerable, particularly children. Their revised guidelines addressed these issues. The regulatory, co-regulatory and self-regulatory mechanisms in operation in Australia have been under serious review in 2012, with new models proposed by the Independent Media Inquiry for a statutory News Media Council and by the Convergence Review for an independent self-regulatory news standards body. There is a separate government proposal for statutory tort of privacy which extends beyond the news media but may include media or public interest exemptions. All acknowledge public concern at the confusing array of ethical codes and processes across media platforms and workplaces. The news media interact with vulnerable sources in a range of circumstances, but the rules controlling that interaction vary markedly across media platforms and employment groups. The small sample of case studies from The Australian newspaper serves to demonstrate that some interactions with the vulnerable are not prevented by in-house codes and escape the attention of the relevant self-regulatory bodies unless a complaint has been made and remains unresolved. The APC and ACMA cases show that the outcomes of complaints are far from predictable and that sometimes elements of vulnerability appear obvious but are not even examined by the inquiring body. The examples demonstrate there are many ‘moments of vulnerability’ that escape the hard and fast letter of laws and codes that seem to be left to the moral and ethical judgment of individual reporters and editing teams. Whatever new regulatory system is put in place requires a simple statement of ethical principles covering the usual fairness and accuracy elements, with an additional responsibility placed upon journalists and editors to identify individuals who are particularly ‘vulnerable’ in a news media interaction so that warning bells sound and informed decisions are taken on issues like consent and privacy. This can only be achieved via genuine newsroom-driven training programs, accompanied up by routine protocols for assessing individual cases of vulnerability as they arise in the field and in the production process. Decisions taken in such circumstances should be documented thoroughly for later review and any rationale on ‘public interest’ grounds should carry justification well beyond audience curiosity, going to serious matters of public importance that could not be offered by less intrusive or traumatising ways. Line-ball decisions should be made only after consultation with an independent psychologist and an explanation for the decision should be published on the outlet’s website. Only then – when ethical decision-making can be audited in a publicly accountable way – can Australian media organisations lay legitimate claim to effective self-regulation. Professor Kerry Green from the University of South Australia led the ARC Linkage Project LP0989758. Other chief investigators on the project included Professor Michael Meadows (Griffith University), Professor Stephen Tanner (University of Wollongong), Dr Angela Romano (Queensland University of Technology) and this author, Professor Mark Pearson (Bond University). Industry partner investigators were Ms Jaelea Skehan (Hunter Institute of Mental Health) and Ms Cait McMahon (Dart Centre for Journalism and Trauma- Asia Pacific). Mr Jolyon Sykes was the research assistant for the larger project, while Mr John Burns, Mr Jordan Lester, Mr Roger Patching, Ms Kiri ten Dolle and Mrs Leisal DenHerder provided research assistance for my AMIC paper.